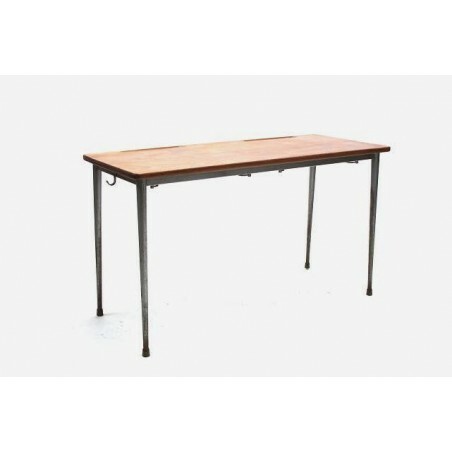 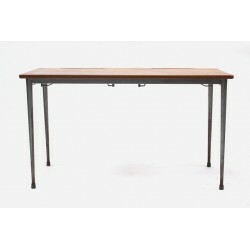 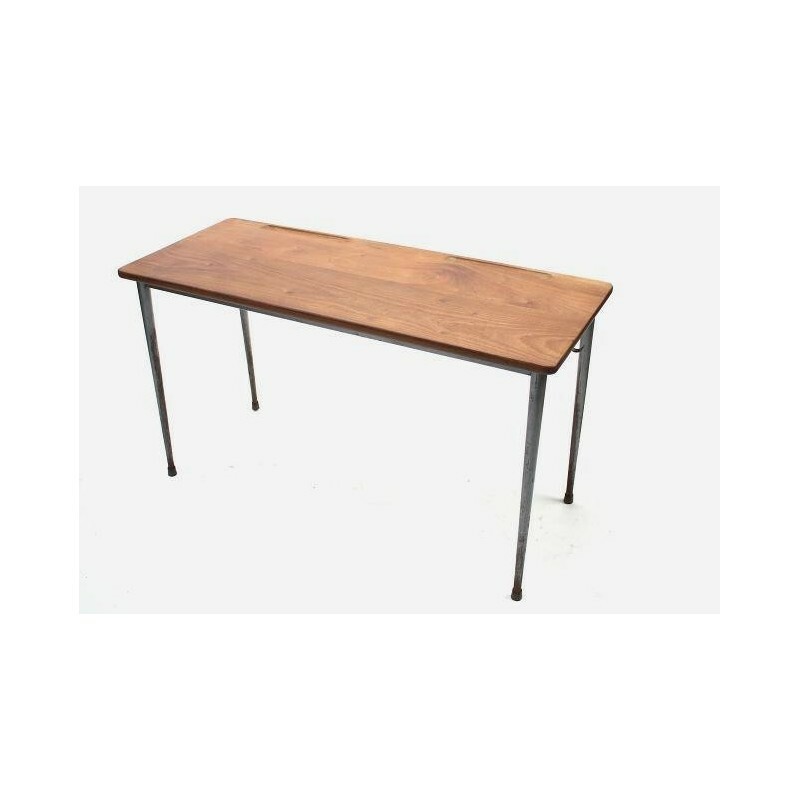 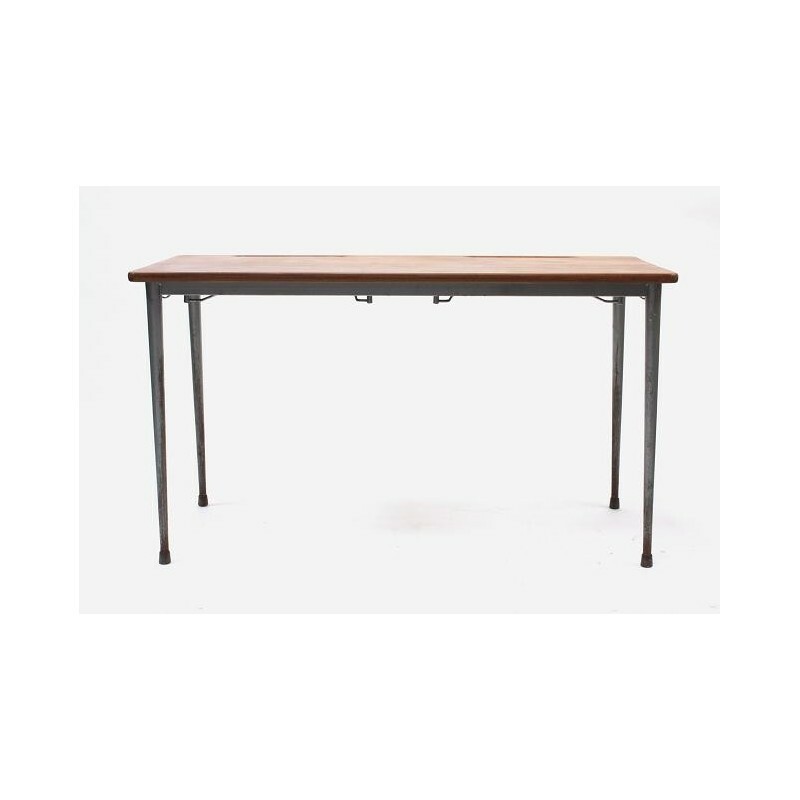 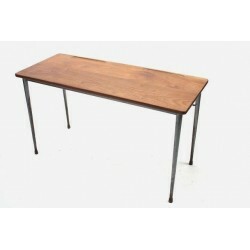 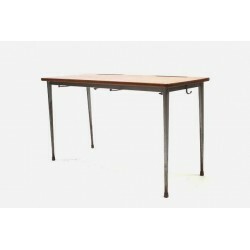 Scandinavian school desk with beautiful wooden top on metal frame. 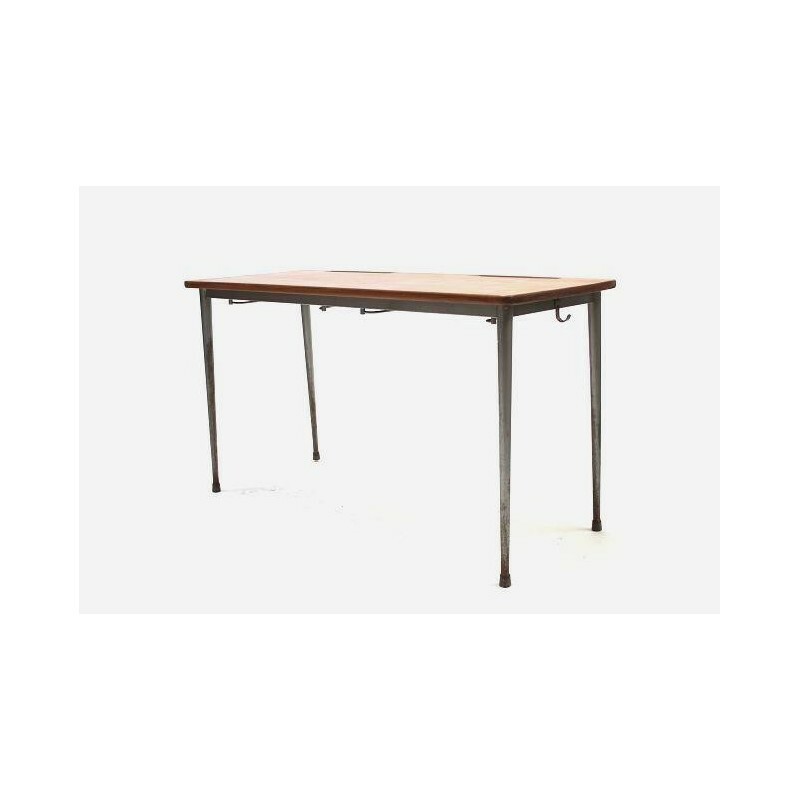 The office is suitable for 2 people. 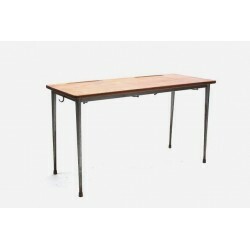 The desktop is in a good condition, frame has some visible oxidation (see detailed pictures). 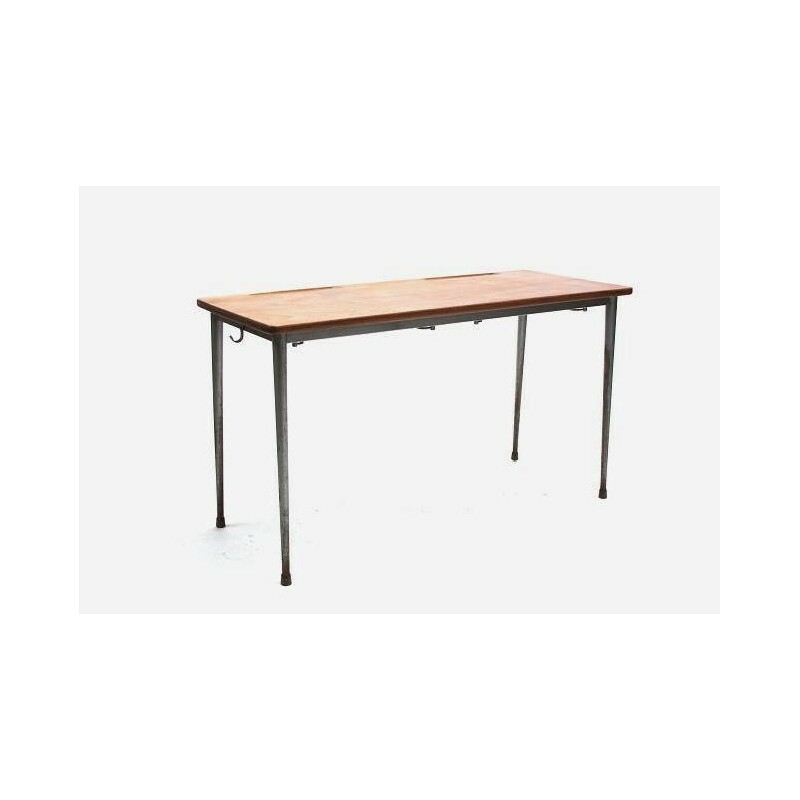 The dimension L is 120 cm / 50,5 cm W / 68 cm H.